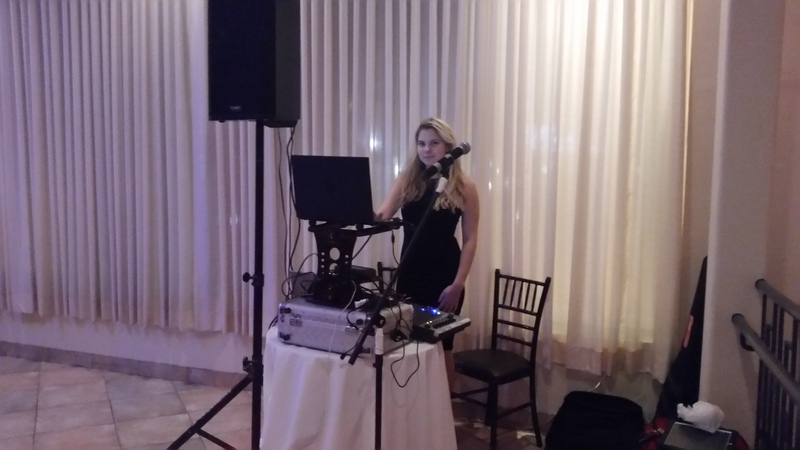 Russian-American bilingual MC-Tamada Mikhail, Russian DJ, model, actress, and dancer Alisa provided DJ services, music and entertainment for Olga's 30th Birthday Party Celebrations at The Elan Catering and Events in Lodi, New Jersey on Saturday, November 28th, 2015. 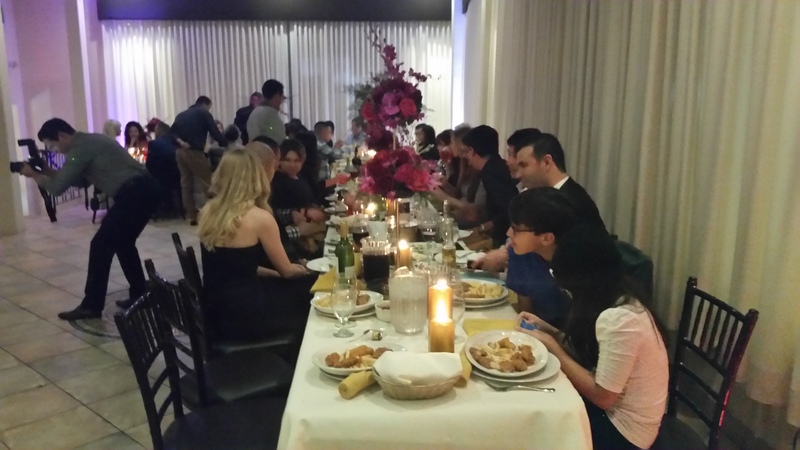 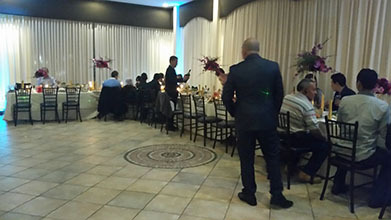 Exact address of the venue: Alan Catering & Events, 111 Route US 46 West, Lodi, NJ 07644. Contact info: booking@russiandj.mobi / Text/Cell (201) 981-2497. 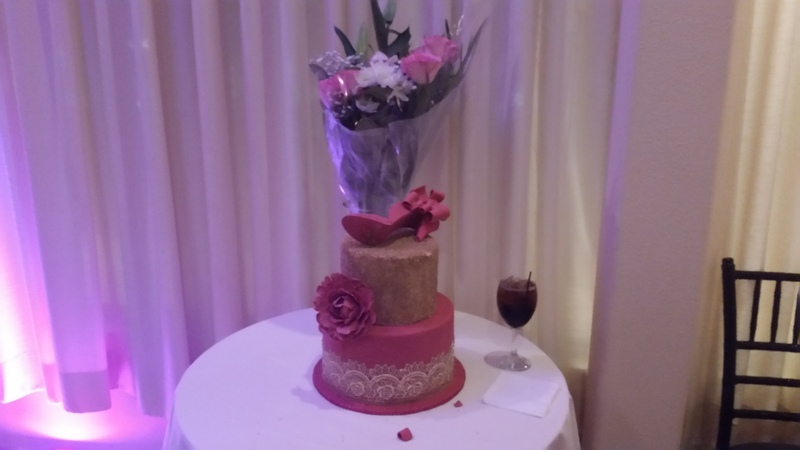 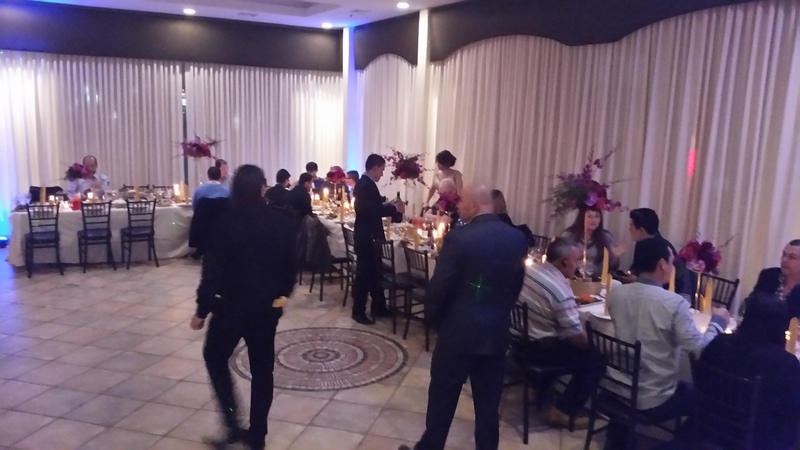 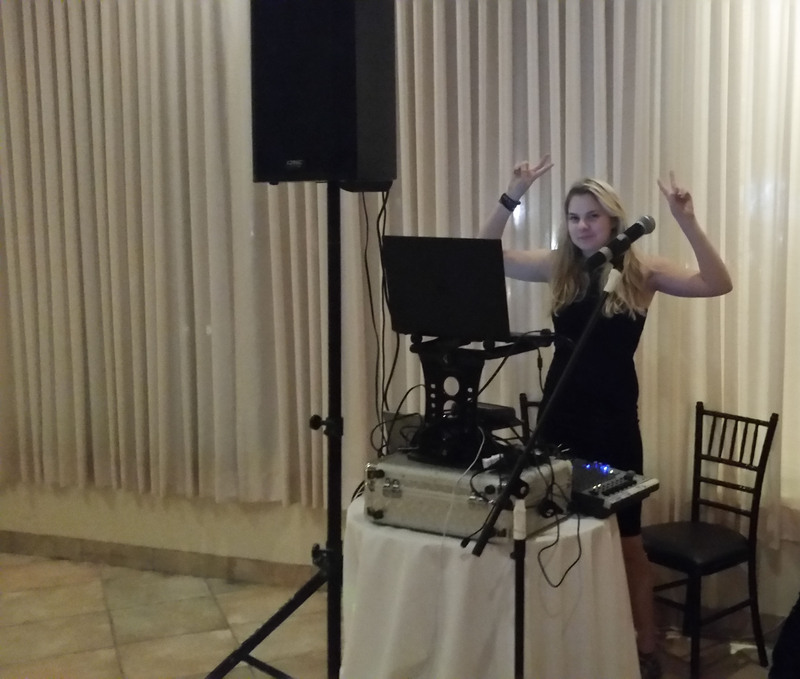 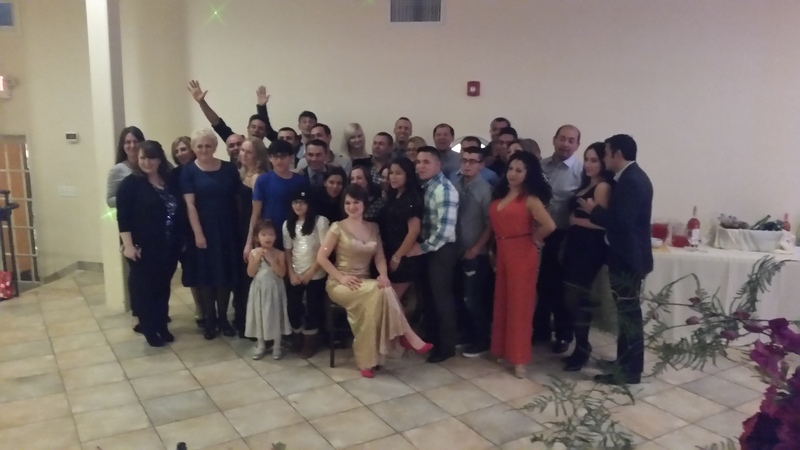 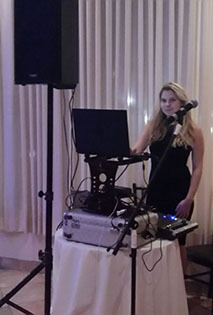 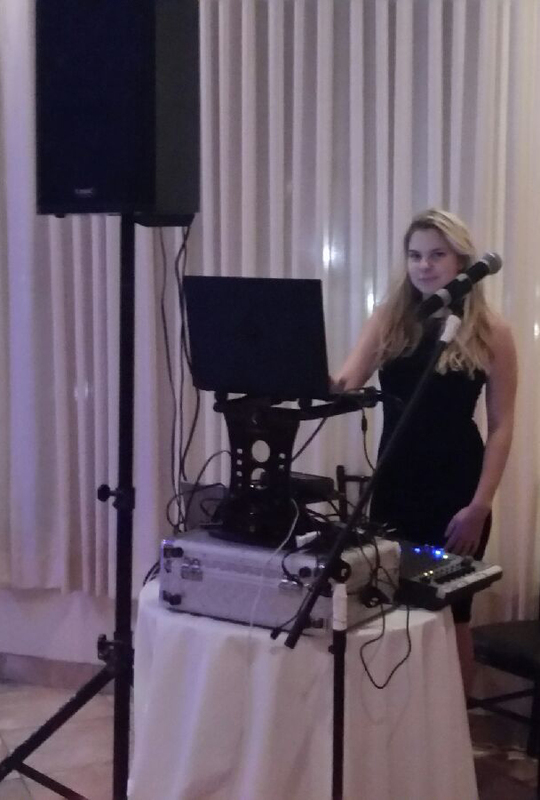 Bilingual Russian-English speaking Master of Ceremonies (tamada) Mikhail and DJ Elina provided entertainment for mixed Russian-Ukrainian-Italian wedding at The Alan Catering & Events (111 Route US 46 West, Lodi, NJ 07644). The program of entertainment included KARAVAI ( "BREAD AND SALT") - «КАРАВАЙ» , "GROUP PHOTO" - «ГРУППОВАЯ ФОТОГРАФИЯ», "FIRST DANCE" - «ПЕРВЫЙ ТАНЕЦ», "THE BEST DANCE COUPLE OF THE YEAR" - «ГРАМОТА ЛУЧШЕЙ ТАНЦЕВАЛЬНОЙ ПАРЕ», "FIRST TOAST AND GORKO INTRODUCTION" – «ПЕРВЫЙ ТОСТ — ГОРЬКО!», "TOAST FROM BRIDE'S PARENTS" – «ТОСТ ОТ РОДИТЕЛЕЙ НЕВЕСТЫ», “RUSSIAN SALAD QUIZ” – «ЗАГАДКА ПРО САЛАТ ОЛИВЬЕ» ( С ПОДАРКОМ), TOAST FROM GROOM’S PARENTS, TRIVIA FOR GUESTS "HOW WELL WE KNOW OUR NEWLYWEDS” ВИКТОРИНА ДЛЯ ГОСТЕЙ «КАК ХОРОШО МЫ ЗНАЕМ МОЛОДОЖЕНОВ», "CONSTITUTION OF THE FAMILY" – «КОНСТИТУЦИЯ СЕМЬИ», "FATHER/DAUGHTER DANCE"– «ТАНЕЦ ДОЧКИ С ПАПОЙ», “MOTHER- SON DANCE”– «ТАНЕЦ МАМЫ С СЫНОМ», "THE BRIDE IS STOLEN!! 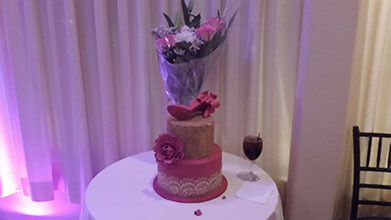 !- SOVIET WEDDING GAME - «ВЫКУП НЕВЕСТЫ», "SECRETS OF THE NEWLYWEDS" - «СЕКРЕТЫ МОЛОДОЖЕНОВ», "MAID OF HONOR TOAST" – «ТОСТ СВИДЕТЕЛЬНИЦЫ», "MIND GAME" – ИГРА «УГАДЫВАНИЕ МЫСЛЕЙ» , "BEST MAN TOAST" – «РЕЧЬ СВИДЕТЕЛЯ» , "SOUND TRACKS GAME" – ИГРА «УГАДАЙ музыку из КИНО», THE MOST EXPERIENCED COUPLE DANCE COMPETITION - «КОНКУРС НА САМУЮ ОПЫТНУЮ ТАНЦЕВАЛЬНУЮ ПАРУ», "READING CONTEST" – «КОНКУРС ЧТЕЦОВ» (РУССКИЙ, АНГЛИЙСКИЙ И ИТАЛЬЯНСКИЙ), “GUESS WHO IS YOUR HUSBAND” – «ИГРА ДЛЯ НЕВЕСТЫ УГАДАТЬ МУЖА», “WHO IS YOUR WIFE” - «УГАДАЙ СВОЮ ЖЕНУ», VERKA СЕРДЮЧКА ШОУ, "THE GARTER" - «ПОДВЯЗКА» , "WEDDING FLOWERS TOSSING" – «НЕВЕСТА БРОСАЕТ БУКЕТ», "WEDDING CAKE" – «ЦЕРЕМОНИЯ РАЗРЕЗАНИЯ ТОРТА», "NEWLYWEDS’ SPEECH" – «ТОСТ ОТ ЖЕНИХА И НЕВЕСТЫ». 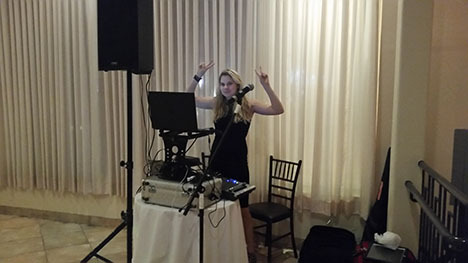 MC tamada Mikhail also proided DJ, MC and Tamada services in Canada, Australia, Mexico's Playa Mujeres, Puerto Morelos, Playa Paraiso, Riviera Maya, Russia, United States Virgin Islands, Burbank, CA, Glendale, CA, Santa Monica, CA, Groton, CT, Trumbull, CT, West Hartford, CT, Washington, D.C, Daytona Beach, FL, Fort Lauderdale, FL, Panama City Beach, FL, Santa Rosa Beach, FL, West Palm Beach, FL, Maui, Hawaii, Buffalo Grove, IL, Indianapolis, IN, Wellesley, MA, Wheaton, MD, Newry, ME, Lake Ozark, MO, St. Louis, MO, Murphy, NC, Wrightsville Beach, NC, windham, NH, Fort Lee, NJ, Hackensack, NJ, Restaurant "Zabava", Independence Township, NJ, The Alan, Lodi, New Jersey, The Alan Catering & Events, Lodi, NJ, Manalapan, NJ, North Haledon, NJ, Voorhees, NJ, Weehawken, NJ, Albany, NY, Bayville, NY, Brooklyn, NY, Romanoff, Brooklyn, NY, Restaurant "Baku", Brooklyn, NY, Restaurant "Tatiana", Brooklyn, NY, Greenpoint, NY, New York City, Sheepshead Bay, NY, Staten Island, NY, Queens, NY, Highlawn Pavilion, West Orange, New Jersey, Woodbury, NY, Yonkers, NY, Clarks Summit, PA, Philadelphia, PA, Pittsburgh, PA, Richboro, PA, Lynchburg, TN, Key Bridge Marriott, Arlington, Virginia, Fort Belvoir, VA, Woodbridge, VA.